We are really excited to be moving to six issues per year. For existing subscribers this will mean a few changes. We have tried to answer many of the questions you might have below – please feel free to email us if you are unclear about what the changes mean for you. I have an existing subscription. What happens to this? When you bought your subscription you will have bought a 1, 2 or 3-year subscription. 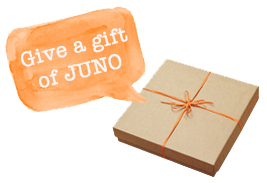 This gives 4, 8 or 12 issues of JUNO. With the new schedule you will receive the same number of copies but the subscription will end earlier. 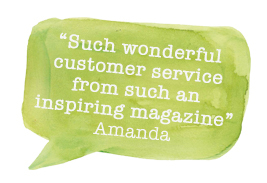 We will let you know by email when you have received your last issue. I have a recurring subscription (it automatically renews) – what happens to this? 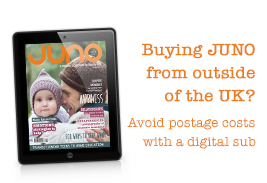 Your recurring subscription will be terminated once your last copy has been sent, and we will contact you to let you know how to re-subscribe if you would like to continue receiving JUNO. Please note that your subscription will terminate before the year is up – we will let you know when you have received your last issue. Can I buy a new recurring subscription? You will be able to set up a recurring subscription from 6 December 2016. I have a Subscription Extra. What happens to the issues I’m owed? We will no longer be producing ‘Extra’ issues each year. If you are owed any Extra issues with your subscription, we will replace these with the standard magazine, so your subscription will just run for one or two issues longer. Why has the cover price increased? The cover price has remained at £3.95 since 2010 despite an increase in page count and improvement in quality of paper. We need to increase the price due to increased production costs. Will I still have digital access? Yes, for as long as your subscription is current. I have a digital-only subscription, what happens to that? This will continue for the time period you purchased. On renewal you will be charged the new price. 3 month access will be replaced by 2 month access. 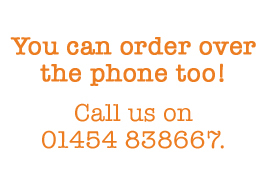 You will receive the remaining issues paid for, albeit at 2 month rather than 3 month intervals. If you have a standard subscription, then you can choose not to renew. If you have a recurring (auto-renewing) subscription, this is being terminated and you will also have the choice of whether to renew. I don’t like these changes and would like a refund on my outstanding subscription. If you have received your first copy of your subscription and you have not terminated your subscription within 2 weeks then we are unable to offer refunds. This is in accordance with distance selling regulations. Still have a question? Please e-mail jessica@junopublishing.co.uk.